Felony charges can result in lengthy prison sentences, steep fines and a lifetime of judgment and ridicule. If you are facing felony charges, it is important that you do not navigate the legal system alone. An experienced criminal defense attorney can protect your rights and help ensure you receive the best possible outcome in your case. Over the past decade, I have built a reputation in court as a resourceful, aggressive felony defense in cases from DUI to attempted murder. I have has achieved successful outcomes in numerous felony cases. To discuss the charges against you and my ability to help, contact me today. If you are facing any felony charge, whether for a violent offense, drug activity or an alleged financial crime, the defense attorney you choose could make all the difference for your future. When the potential consequences of conviction include a lengthy stay in prison — along with a criminal record that will limit your prospects for your future — proven, dedicated representation is essential. Boston Criminal Defense Attorney Topazio is prepared to investigate every aspect of the allegations and circumstances of your case, in order to identify the right strategy and build an aggressive defense on your behalf. Contact Attorney Topazio online or call to discuss your case. The client was arrested for allegedly stabbing another in the buttock and charged with the crime of Assault and Battery With a Dangerous Weapon in violation of MGL c 265 § 15(A). The client who was with another individual, was allegedly seen tossing an object then fleeing before being arrested. The other individual who the client was with was stopped by police and found to be in possession of a knife. Today at trial Attorney Topazio was successful in getting the case against his client dismissed. After a night of drinking, the client returned home and encountered her roommate who also returned home after a night out drinking. A fight between the roommates ensued, and the client allegedly grabbed a knife and stabbed the roommate in the arm. A friend of the roommate who tried to intervene was subsequently stabbed in the heart by the client, requiring emergency open heart surgery. The client was arrested and charged with attempted murder as well as assault and battery with a dangerous weapon causing serious bodily injury. Attorney Topazio requested that his client undergo a psychiatric evaluation and lobbied the District Attorney to dismiss the attempted murder charge, (which carries a potential jail sentence of up to 20 years in state prison), after learning that his client was severely beaten by the other parties during the fight. Over the course of sever months, Attorney Topazio was successful in getting the attempted murder charge against his client dropped. Despite a recommendation to commit his client to a 7 to 9 year sentence, Attorney Topazio pursuaded the court to sentence his client to a sentence of 3 years to 3 years and one day on the charge of assault and battery serious bodily injury. The client was arrested for carrying a firearm without being properly licensed in Massachusetts after passing a backpack through a metal detector at Logan Airport in Boston which contained a loaded firearm. Carrying a firearm in violation to MGL c. 269 § 10(a) is punishable by imprisonment in the state prison for not less than two and one-half years nor more than five years, or for not less than 18 months nor more than two and one-half years in a jail or house of correction. The sentence imposed on such person shall not be reduced to less than 18 months, nor suspended, nor shall any person convicted under this subsection be eligible for probation, parole, work release, or furlough or receive any deduction from his sentence for good conduct until he shall have served 18 months of such sentence. The client in this case had moved from Nevada to Massachusetts and had all his possessions shipped to the Commonwealth. The client’s father lives in New Hampshire which does not require a license to carry and is an open carry state. The client transported his firearms to his father in New Hampshire for safe keeping while the client established himself in Massachusetts. Attorney Topazio learned that the firearm in this case which was stored in a backpack was inadvertently overlooked by his client and believed to be in New Hampshire. Attorney Topazio learned that his client had a valid license to carry a firearm in the States of Utah, Florida, and Nevada. Attorney Topazio pointed out to the prosecution that thirty-six (36) states grant reciprocity to and accept the Utah License to Carry; thirty-one (31) states grant reciprocity to and accept the Nevada License to Carry, and thirty-six (36) states grant reciprocity to and accept the Florida License to Carry. There are a total of forty (40) states that are covered by all three (3) licenses to carry which means the client could lawfully carry a firearm in 40 out of the 50 states in the United States. Massachusetts unfortunately, is not one of the forty (40) states that grants reciprocity to or accepts the Utah, Florida or Nevada Licenses to Carry. Nevertheless, Attorney Topazio was successful in persuading the prosecution to drop the charges and to give his client pretrial probation thus avoiding a trial and a potentially committed jail sentence under these circumstances. The client, a 19 year old college student, who was in Boston celebrating the Fourth of July, got arrested after punching and breaking the windshield of a motor vehicle, hired Boston Criminal Lawyer Steven J. Topazio to represent him. Attorney Topazio met with the district attorney in an attempt to resolve the case and requested pre-trial probation with the condition that his client, who had no prior criminal record, do 30 hours of community service and pay restitution for any damage he caused. Pre-trial probation pursuant to MGL c. 276 section 87 is a court-approved agreement or contract between the prosecutor and defendant before a trial, a plea of guilty, or admission to sufficient facts to warrant a finding of guilty. Under such an agreement, a defendant is placed on probation for a period of time and under certain conditions. According to the 2003 case of Commonwealth v. Cheney, a judge cannot place someone on supervised probation without a trial and then dismiss the case over the Commonwealth’s objection. The assistant district attorney considered Attorney Topazio’s request but indicated that he had to call his supervisor to get authority to agree to pre-trial probation. Today, the district attorney’s office agreed to pre-trial probation and the court placed the client on pre-trial probation for six months. There was no admission to any crime and the client maintains a clean criminal record. Result Case to be dismissed after period of pretrial probation. The client, a 44 year old individual, was serving a 4-5 year state prison sentence after tendering a change of plea in Salem Superior Court to an Assault and Battery with a Dangerous Weapon and Breaking and Entering charge. Prior to his change of plea, the client was out on bail but was arrested for Possession With Intent to Distribute Class A School Zone and held on bail in the BMC, a different court. Shortly after his new arrest the client pled guilty in the BMC and was convicted of the Possession With Intent to Distribute Class A in a School Zone and received a sentence of one (1) day to the House of Correction and two (2) years from and after sentence. The client began serving his BMC sentence at South Bay House of Corrections until he changed his plea in the Superior Court case where he received a sentence of 4-5 years in State Prison forthwith which ended the BMC House of Corrections sentence. The client was not given jail credit on his Superior Court sentence for the time he was in custody on the BMC case. Attorney Topazio challenged the BMC case and moved to vacate the sentence on grounds that it was discovered that Chemist Annie Dookhan carried out the testing on the alleged controlled substance in the laboratory where the testing was carried out which has been identified by law enforcement officials as a person who intentionally contaminated drug evidence to ensure positive tests, inflated drug sample weights, falsified drug analysis findings, and fraudulently altered chain of custody documents during a time period relevant to this case. As a result of Ms. Dookhan’s misconduct, the Attorney Topazio filed a Motion for New Trial in the BMC which after hearing was allowed by the Court on the ground that the defendant’s guilty plea was not knowing and voluntary, and therefore violated the Fourteenth Amendment and Article 14. Attorney Topazio next argued that his client did not receive the full jail credit on his Superior court case for the time that his client was in custody on the BMC case as a result of the client’s conviction on the BMC case being vacated. Attorney Topazio argued that this lost time is now considered dead time and his client should be credited with this time on his Superior Court sentence. By way of motion Attorney Topazio requested that his client be credited on the Superior Court case in Essex County for all time awaiting trial in the BMC case in Suffolk County due to the erroneous conviction in the BMC. Attorney Topazio argued that it is necessary to remedy the injustice to his client who served time for which he otherwise would receive no credit. Attorney Topazio argued that if his client is not credited that time it will be considered dead time to the defendant, and the court agreed. Result Client credited additional jail time toward “from and after” sentence for time served under an erroneous conviction when the client would otherwise face dead time for the vacated sentence. • “if adjudication of guilt has been withheld, where … a judge or jury has found the alien guilty, or the alien has entered a plea of guilty or nolo contendere, or has admitted sufficient facts to warrant a finding of guilt, and … the judge has ordered some form of punishment, penalty, or restraint on the alien’s liberty to be imposed. Attorney Topazio continued his case to evaluate the immigration consequences to his client upon an admission to a reduced charge of assault. The client, a 33 year old professional and father of two, was arrested for illegally possessing a firearm, hired Boston Weapons Attorney Steven J. Topazio to defend him. The client was released on conditions of bail which included GPS monitoring and a stay away order. Immediately after Attorney Topazio was retained, the client received a probation warrant for a strap tamper to his GPS monitoring device and the prosecutor on the case filed a motion to revoke the client’s bail. Attorney Topazio filed a motion to remove the GPS monitoring device and stay away order due to changed circumstances and contested the bail revocation. Today, although Attorney Topazio acknowledged that there was a violation of a condition of his client’s release, he objected to any argument that his new client should be subject to a revocation of release and an order of detention. Despite the prosecutor’s argument that no condition or combination of conditions will assure that the client will not pose a danger to the safety of any other person or the community, Attorney Topazio persuaded the court to deny the prosecutor’s motion to revoke his client’s bail and to release his client on bail. Result: Motion to Revoke bail denied and client released from custody. Case pending. The client, a 40 year old construction worker, was arrested for malicious destruction of property after a witness, who happened to be an attorney, witnessed the client slashing the tires on a neighbor’s car. The client was represented by Boston Criminal Attorney Steven J. Topazio. Boston Criminal Lawyer Topazio met with his client and learned that his client once rented an apartment from the neighbor but could not recall the events due to alcohol intoxication. The client, who had no criminal record and a green card resident, was concerned about the immigration consequences an admission or conviction might have. Green card refers to an immigration process of becoming a permanent resident. The green card serves as proof that its holder, a lawful permanent resident has been officially granted immigration benefits, which include permission to reside and take employment in the United States. The holder must maintain permanent resident status, and can be removed from the United States if certain conditions of this status are not met, including convictions for crimes of moral turpitude. Boston Criminal Defense Lawyer Topazio, unable to resolve his client’s case due to resistance from the prosecutor, pushed his case to trial. Today, Boston Criminal Attorney Topazio met with the victim and witnesses and negotiated a resolution to avoid trial and a possible conviction, whereby the case would be continued generally for three months on the condition that his client pay restitution for the slashed tires, with an agreement that upon payment of restitution, the court would dismiss the case, and the court agreed. Result: Case to be dismissed after payment of restitution and client avoids adverse immigration consequences. The client, a 32 year old businessman, who was on probation, was arrested after jumping onto the hood and roof of a motor vehicle damaging it after police observed the client scratch a lottery ticket and scream into the air “YEEESSSS!!! !” The police asked the client how much he won on the scratch ticket then arrested him after they observed a large dent on the vehicle. After being arrested the client was found to be in the possession of Marijuana. Boston Criminal Defense Attorney argued that the client could not be found guilty of malicious destruction of property as the Commonwealth could not prove that the client acted willfully and with malice as required by statute when the car was damaged, and thus could not be convicted. An act is willful if it is done intentionally and by design, in contrast to an act which is done thoughtlessly or accidently. An act is done with malice if it is done out of cruelty, hostility, or revenge. Celebrating after winning a scratch ticket and then damaging the automobile is wanton behavior. An act of destruction is “wanton” if the person was reckless or indifferent to the fact that his conduct would probably cause substantial damage. Someone acts “wantonly” when he consciously disregards, or is indifferent to, an immediate danger of substantial harm to other people or their property. Today at trial, Attorney Topazio convinced the court to dismiss all charges against his client and caused probation to withdraw the probation violation notice. Result: Case Dismissed and probation renewed to original date. The Client, an 18 year old High School Student, was arrested after he attempted to strike his ex-girlfriend’s ex-boyfriend with a motor vehicle, hired Boston Criminal Defense Lawyer Steven J. Topazio to defend him. According to the police report, the ex-boyfriend of the ex-girlfriend entered the Client’s home to beat the Client up after the ex-boyfriend discovered his girlfriend and the Client were dating. After assaulting and punching the client the ex-boyfriend was charged with home invasion. When the ex-boyfriend went outside, the Client attempted to run him over with his car. Attorney Topazio met with his Client and explained the Client’s Fifth Amendment Constitutional Right not to testify. After being requested to appear and testify before a grand jury, Attorney Topazio advised his client to refuse to appear or testify against his attackers. Attorney Topazio pointed out that due to the fact that the client was also charged with a crime and might incriminate himself if he testified before a grand jury, the Client could exert his right not to testify. Today as a result of the Client exercising his Fifth Amendment right not to testify at the grand jury, the Commonwealth was unable to get an indictment against the Client’s attackers. Additionally, with no witnesses available to testify in court at trial against the Client, Attorney Topazio was able to persuade the District Court to deny jurisdiction on the Assault and Battery with a Dangerous Weapon charge, in lieu of going to trial, but instead dismiss the case as a result of the Commonwealth’s inability to obtain any grand jury indictment. Assault and Battery with a Dangerous Weapon charge is a felony which has concurrent jurisdiction which could be tried in either the Superior Court or the District Court. The Clients, a 58 year old owner of a convenience store located in Brockton, and his 42 year old clerk, were charged with selling cigarettes and drug paraphernalia to a minor who acted as a confidential informant for the police in a sting operation. In the Sting Operation, the clients sold a bottle of Inositol and a digital scale, which were displayed for sale in the store, to the under aged confidential informant. As a result of the sale, the police obtained a search warrant and seized from the clients several glass pipes, water pipes, bongs, digital scales, gas masks with a pipe attached to its front, and bottles of Super Insoitol, Mannitol, and Lactose. The police argued that the pipes were being sold to smoke marijuana and the Inositol, a white powder, were cutting agents commonly used to dilute illegal drugs such as cocaine, in order to increase the profits from the illegal sale and distribution. Selling Drug Paraphernalia is a felony punishable by a state prison sentence of not less than 3 years and not more than 5 years. Attorney Topazio learned that the clients recently received Asylum in the United States due to persecution in their country of origin, and wanted to avoid any adverse immigration consequences, as well as jail time, that a guilty plea or admission to these offenses would create. Attorney Topazio continued the cases so as to build his defense. Although confronted with the daunting fact of an undercover purchase by an informant, followed by the execution of a search warrant, Attorney Topazio requested and obtained the shop’s Board of Health records which revealed that a day prior to the commencement of the police investigation, the shop was inspected by the Board of Health which acknowledged that the sale of pipes were in compliance with state law. Today, as a result of this information, Attorney Topazio was able to convince the District Attorney to dismiss all charges against his clients on the payment of $300.00 court costs each, and the court agreed. Result: Cases dismissed and Clients avoid any adverse immigration consequences. The client, a 47 year old plumber, was charged with malicious destruction of property following his eviction from his home by his landlord. The client, who was on probation out of Superior Court, had represented himself in the eviction proceeding, and with the court’s help, mediated an agreement for judgment whereby he agreed to vacate the landlord’s premises in broom clean condition, normal wear and tear excepted, by a date certain. The client vacated the premises as agreed, but when the landlord inspected the property he discovered that 9 out of 14 doors were damaged by the tenant, 7 windows were missing security devices and the screens all had holes in them, the microwave oven was damaged, the convection oven window was broken, the vanity top in the bathroom had burn marks on the top, and the refrigerator had small dents all over the front doors, filed an application for criminal complaint against the client. The client, who represented himself at the clerk’s hearing, was unsuccessful in preventing this felony charge for malicious destruction from issuing. A conviction of this offense would have resulted in the client being surrendered out of Superior Court and committed to prison for this subsequent criminal activity, which he desperately worked hard to avoid. Over the course of several months, Attorney Topazio fought the charges, filing a motion to dismiss and arguing that the criminal charge should never have issued since the filing of the eviction proceeding and negotiated settlement made this case a civil matter and not criminal. Today, the prosecutor agreed to dismiss the charge in exchange for Client paying $200.00 in court costs. Client agrees to pay court costs and the case is dismissed. He therefore avoids a conviction for this crime and thus avoids a violation of his probation and possible prison time. Result: Case dismissed. Client avoids a violation of probation and a prison sentence, and also avoids a felony conviction. An investigation by the Boston Police Special Investigations Unit and investigators from the Insurance Fraud Bureau found that the defendant reported to his insurance company that while driving his vehicle that an unknown vehicle struck his vehicle and fled, causing over $6,000.00 worth of damage. The investigation found that the suspect did not notify the police of the hit and run. A forensic examination of the defendant’s vehicle found that the vehicle struck a stationary object while in motion. Recovered from the vehicle was creosote/wood material. When confronted with the evidence the defendant gave conflicting statements. The defendant, who abandoned his insurance claim, hired Attorney Topazio to defend him. Attorney Topazio met with the prosecuting attorney in an attempt to dispose of the case without an admission or plea, as an admission to the offence would ruin his client’s career. Attorney Topazio suggested to the Commonwealth that his client was never paid by the insurance company, that he receive a period of pre-trial probation to resolve the case. Pursuant to Massachusetts General laws, chapter 276, section 87, a court may place an individual on probation for such time and upon such conditions as it deems proper, with the defendant’s consent, before trial and before a plea of guilty. Pre trial probation is a mechanism to resolve a criminal case without requiring an admission to sufficient facts or a guilty plea. If successful, the criminal charges will be dismissed outright, thus protecting an individual’s criminal record as well as his reputation. Today, Attorney Topazio persuaded the Assistant District Attorney and the judge to place his client on pre-trial probation for a period of three months on the condition that his client pays a fine. Result: Client avoids trial and an admission to sufficient facts or guilty plea and his case will be dismissed in three months provided a fine is paid and defendant obeys all state and local laws. The defendant, who allegedly tried to steal tools from an elderly man’s pick-up truck parked at the Home Depot on Route 1 in Saugus, MA, was confronted by the owner of the truck, a 60-year-old male, who after coming outside tried to detain the defendant when he saw him trying to steal something from the toolbox on the side of his truck. The defendant, who was grabbed by the owner, jumped into his motor vehicle in an attempt to flee, and dragged the victim through the parking lot before the victim fell to the ground injuring himself. The defendant was arrested and charged with breaking and entering in the day time, larceny, attempt to commit a crime, assault and battery on a person 60 years or older, and being a career criminal, hired Attorney Topazio to defend him. A habitual criminal is a person who has a criminal record indicating a propensity to crime and is subject to harsher penalties. Being an habitual offender meant the defendant had been convicted and served at least two prior state prison sentences where he had received a sentence of at least 3-5 years committed to state prison. 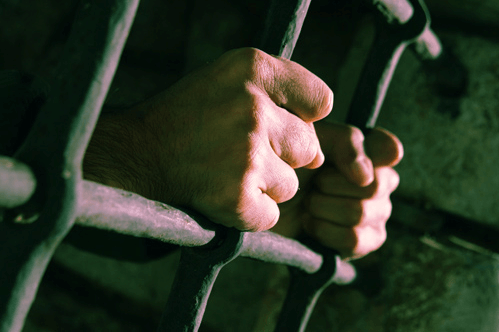 The habitual offender charge is an enhanced punishment statute which imposes mandatory prison time for the maximum term of imprisonment of the underlying felony. As a result, the defendant was facing a mandatory 10 year jail sentence for the crimes he committed if convicted. Despite the mandatory time, Attorney Topazio was successful in causing his client to be released on bail in lieu of being held in custody. Prior to resolving the case however, and while his client was out on bail, the defendant committed yet another offense originating out of the Boston Municipal Court when he was found in possession of multiple bags of heroin. The client was arrested and charged with possession of a class A substance with intent to distribute in a school zone. A school zone violation carries a two year mandatory jail sentence. Fearing a subsequent indictment, the defendant agreed to plea guilty in the Boston Municipal Court and was committed to the house of correction for two years. Today, just two weeks after receiving a 2 year mandatory house of corrections sentence, when the defendant appeared in Essex Superior Court where Attorney Topazio was successful in convincing the Assistant District Attorney and the Court to dismiss the habitual offender charge upon his client’s agreement to plea guilty on the remaining offenses to a 4-5 year state prison sentence, to be imposed forthwith. When a state prison sentence is imposed forthwith, the underlying house of corrections sentence is wiped out and the state prison sentence begins immediately. Result: Defendant avoids a mandatory 10 year state prison sentence and accepts a 4-5 state prison sentence forthwith thus wiping out a mandatory 2 year house of corrections sentence after only serving two weeks of that sentence. When a late night roof deck party got out of hand resulting in eggs being thrown off a four story building at the defendant, the defendant was arrested after being accused of using a crow bar to break into the victim’s apartment then violently pushing him to the ground with that crow bar, hired Attorney Topazio. Attorney Topazio met with the District Attorney prosecuting his client in an attempt to negotiate a resolution of the case prior to his client being indicated and thus having to face state prison time. Armed assault in a Dwelling carries a penalty of 20 years to life. According to statute, whoever, being armed with a dangerous weapon, enters a dwelling house and while therein assaults another with intent to commit a felony shall be punished by imprisonment in the state prison for life, or for a term of not less than 20 years. Today, despite Attorney Topazio’s attempts to negotiate a resolution of the case by way of mediation and his client ultimately being indicated, Attorney Topazio was successful in obtaining a plea bargain for his client in the District Court before his client was arraigned in Superior Court on the more serious charges. After the plea in the District Court, Attorney Topazio agreed with the Commonwealth that the Commonwealth would file a Nolle Proseque or (Nol Pros) causing his client’s Superior Court charges to be dismissed. Result: The defendant receives a split sentence to the House of Corrections, having only to serve four months, thus avoiding Superior Court and mandatory State prison time. The defendant, who went to Suffolk Superior Court to support the family of an individual who pled guilty to kidnapping and received a committed sentence, was charged with the felony offense of witness intimidation after police, who were escorting the victim from Superior Court, observed the defendant yelling at the victim who had just testified. Attorney Topazio challenged the charge in District Court by filing a Motion to Dismiss pursuant to Commonwealth v. DiBennadetto, 436 Mass. 319, 764 N.E. 2d 338 (2002); alleging that his client’s conduct consisting as it did merely of language which was overheard and then described as intimidation, falls outside of the purview of §13B because it occurred after the criminal proceeding at which the victim testified had ended. Attorney Topazio argued that the Commonwealth could not prove that the defendant had the specific intent to impede any criminal proceeding as required by statute arguing that the commitment of the defendant in Superior Court at his sentencing, where there are no rights of appeal, in fact, and in law, mark the end of the criminal proceedings. Although unsuccessful on the Motion to Dismiss, Attorney Topazio moved for trial. Today at trial, Attorney Topazio renewed his request to dismiss the charges arguing again that the Commonwealth could not prove its case. Attorney Topazio focused on the fact that the Commonwealth could not prove that his client intended to impede, obstruct, delay, harm, or punish any criminal proceeding as required by statute as the proceeding in question had ended. Attorney Topazio was successful in convincing the Commonwealth to reduce the felony charge of witness intimidation to the misdemeanor charge of threats where his client accepted a CWOF (continuance without a finding) and thus avoided trial. Result: Felony charges against the defendant were reduced to a misdemeanor where she accepted a CWOF thus avoiding a trial and a conviction on her record. The defendant was charged for allegedly striking his son in the face with his belt, causing one of his teeth to be knocked out, hired Attorney Topazio. Attorney Topazio appeared with his client during an investigation by the Department of Family and Children after a 51A complaint was filed alleging neglect. Attorney Topazio caused his client to enter counseling and to take an anger management program and parenting classes while at the same time preparing the case for trial. Today, on the day of trial, Attorney Topazio, during a lobby conference, convinced the District Attorney and the Court to reduce the charges against his client to simple Assault & Battery upon a sentence of straight probation. Result: Defendant pleads to lesser offense of misdemeanor Assault and Battery and avoids possible jail time.